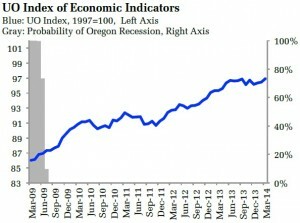 The Oregon Measure of Economic Activity rose to 0.73 in March, compared to a revised 0.16 the previous month. As it currently stands, the March number is a new post-recession high.The three-month moving average, which smooths month-to-month volatility in the measure, is 0.41 where “zero” for this measure indicates the average growth rate over the 1990-present period. All major sectors covered by this measure contributed positively to the measure. A rebound in manufacturing hours worked supported the manufacturing sector while employment bolstered the construction numbers. The labor force component continues to make a positive contribution to the household sector. 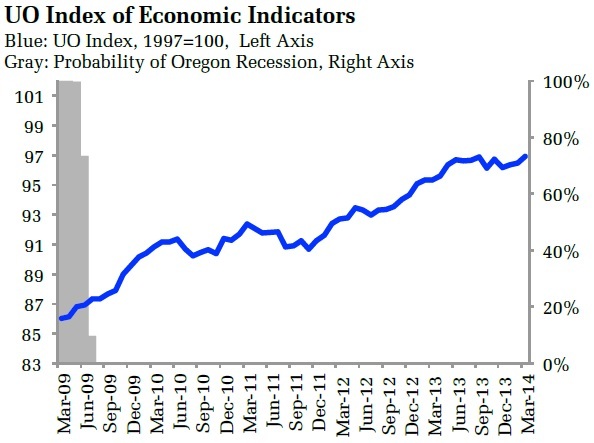 The University of Oregon Index of Economic Indicators gained 0.5% in March. Initial unemployment claims continue to signal solid job growth as they hover in a range somewhat above the lows experienced prior to the last recession.The general upward trend in employment services payrolls (largely temporary help firms) continues, another indication of future job gains. Residential building permits (smoothed) continue to hover in a range between 1,100 and 1,200. This is somewhat softer than the 1,300 level of last spring. 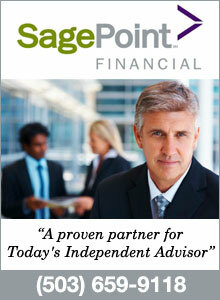 Consumer sentiment gained for a second month. The Oregon weight distance tax continues to edge higher, consistent with a faster pace of activity.New orders for core manufacturing goods rose, recovering their losses from the previous month.A sharp gain in average weekly hours worked reversed three months of declines. The two indicators point toward continued growth in Oregon at an above average pace of activity.The economy continues to slowly regain its footing as the impact of the recession fades further into the past.